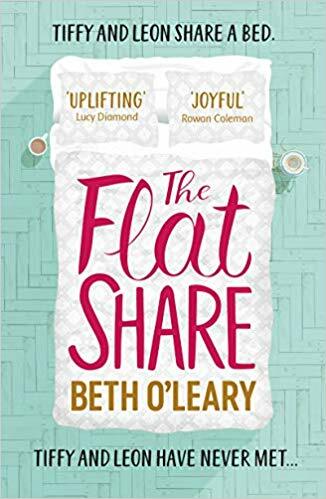 ‘The Flatshare’ is Beth O’Leary’s debut novel and it’s also Quercus books most anticipated debut of the year. Tiffy Moore needs a cheap flat, and fast. Leon Twomey works nights and needs cash. Their friends think they’re crazy, but it’s the perfect solution: Leon occupies the one-bed flat while Tiffy’s at work in the day, and she has the run of the place the rest of the time. But with obsessive ex-boyfriends, demanding clients at work, wrongly-imprisoned brothers and, of course, the fact that they still haven’t met yet, they’re about to discover that if you want the perfect home you need to throw the rulebook out the window. The story is seen through the narrative of Tiffy and Leon, who flat share, but have never met and communicate through post its to each other. Tiffy, is struggling for money and having come out of a toxic relationship needs somewhere to live urgently. So, when she sees the advert for an unconventional flat share, she jumps at it. Much to the dismay of her best friends. Leon needs someone to help pay the bills, whilst he works at night in a hospital as a palliative care nurse. Whilst he works at night, Tiffy has the house to herself and sleeps on the left side of the side. Then, when she’s at work, Leon sleeps on the right side of the bed. As the months pass, they confide in each other and become close friends as they deal with problems in their lives and they find it easier to chat through the medium of notes instead of face to face, as they can be brutally honest with each other. Like many others who’ve read ‘The Flatshare’, I adored this book. The plot is such a unique concept and the story is cleverly written. I loved both Tiffy and Leon, they were such interesting characters that complimented each other. Tiffy is outspoken, adventurous and with a vibrant wardrobe. Her confidence is low, from a bad relationship and as the story progresses, we see her blossom and grown in confidence, all down the post its that the quiet and gentle Leon leaves for her. I read this book in a couple of sittings and found it difficult to put down. It’s deliciously written with warm and kind characters, that I fell in love with. With a stunningly pretty cover, and an unique premise, ‘The Flatshare’ is a captivating and funny story, of love, friendships and new beginnings.